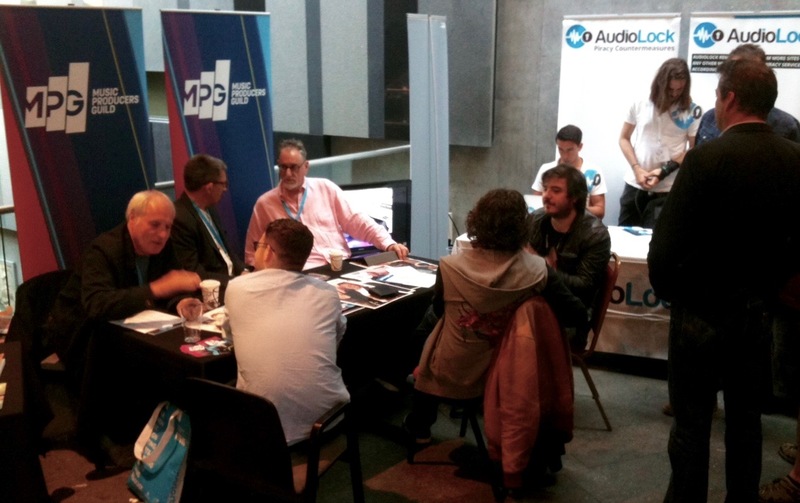 Once again, the Music Producers Guild took its annual trip to Inverness last week (June 7-11th), to attend Scotland’s leading creative industries festival, XpoNorth, followed by an industry social with the SMIA (Scottish Music Industry Association) in Glasgow. This was our fourth year attending and, in short, it was a tremendous success! 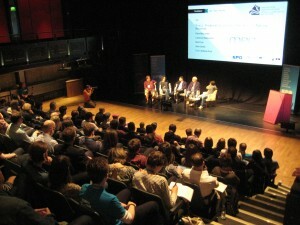 XpoNorth brings together Scotland’s leading creative industries. 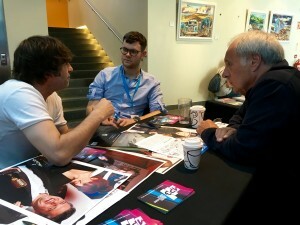 The two-day festival hosts 25 panels and showcases 65 bands and solo artists. 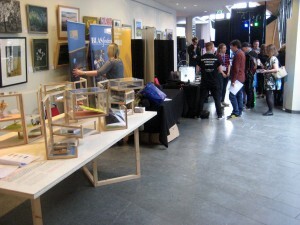 It’s primary objective is to boost creative careers in the Highlands and Islands of Scotland and beyond. The festival is non-stop and continues to grow, this year being 35% larger than last year. 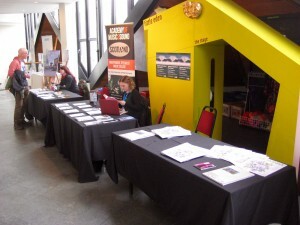 The daytime events were contained to Eden Court, a riverside arts centre. 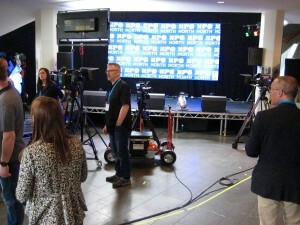 This was the ‘hub’ of the festival, hosting not only the seminar rooms but also trade stands and the XpoNorth Live! TV studio. The evening sprawls the Old Town, which is not big at all, so with all 8 gig venues literally within a stones throw from each other, the atmosphere is great!! This year the MPG was represented by Full Members; Brett Cox (Alt-J, Marika Hackman, Jack Garratt, Tusks…), Cam Blackwood (London Grammer, George Ezra, Eaves…), Dave Bascombe (Tears For Fears, Depeche Mode, ABC…), John Leckie (Pink Floyd, Stone Roses, Simple Minds, XTC, The Fall, The Coral…), Andrew Hunt (SALIO, Hazel Iris, Jonathon Holder & The Good Thinking…) and Mick Glossop (Van Morrison, The Waterboys, The Wonder Stuff, Frank Zappa). All present on the MPG stand for the duration of the festival, the stand became a lively focal point for others to drop in. There were visits from MPG Full Members Robbie Nelson (RAK), Mike Horner (RAK) and Giles Perring (Sound of Jura) to name just a few. 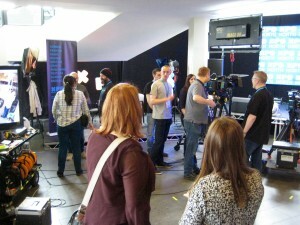 Wednesday 8th was a busy day, with XpoNorth Live! TV appearances from producers John Leckie, Andrew Hunt and Mick Glossop (links below). 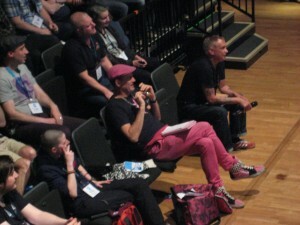 The highlight of the festival was of course the MPG panel on Thursday 9th at 3pm on ‘The Art of Record Production’. The panel was chaired by MPG Executive Director Andrew Hunt, with panelists, Dave Bascombe, Cam Blackwood and MPG Award winners Brett Cox and John Leckie. 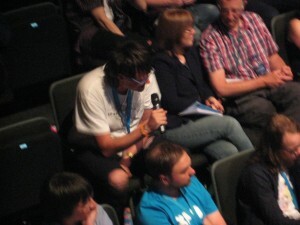 One of the largest of the festival, the panel took a conversational approach. Running for 90 minutes and covering many aspects of ‘what makes a record’ the discussion came to a close in an informative Q&A with the audience. ‘Obviously at a festival such as this, there is a healthy focus on live music but as producers and engineers, I felt we should discuss making records, in fact, record production as an art form,’ said Andrew Hunt speaking on the concept for the panel. MPG Full & Associate Members can log in and listen to the audio recording of the event. 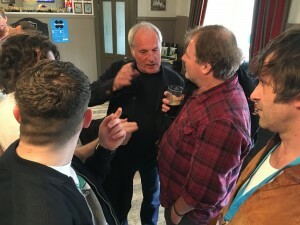 On Friday 10th, the MPG travelled to Glasgow to host an informal social gathering in conjunction with the SMIA (Scottish Music Industry Association). 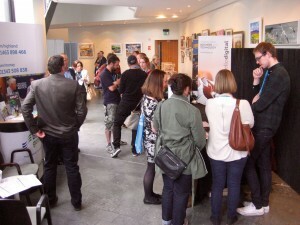 The event was held in the CCA (Centre of Contemporary Arts) and had reached capacity in registration prior to the event! 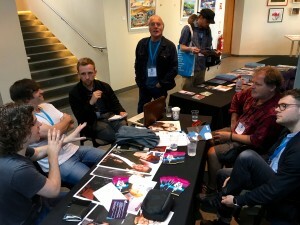 Bringing artists, managers, producers, and other members of industry bodies together, the evening was a great success. We look forward to returning in 2017 and hope you can join us! 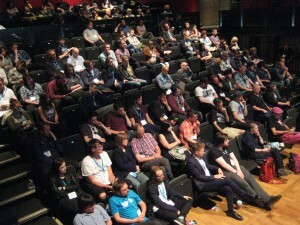 The complete photo gallery from XpoNorth 2016 can be viewed here. Some News items might not be visible until you either log in, or register as a (free) Basic Member.